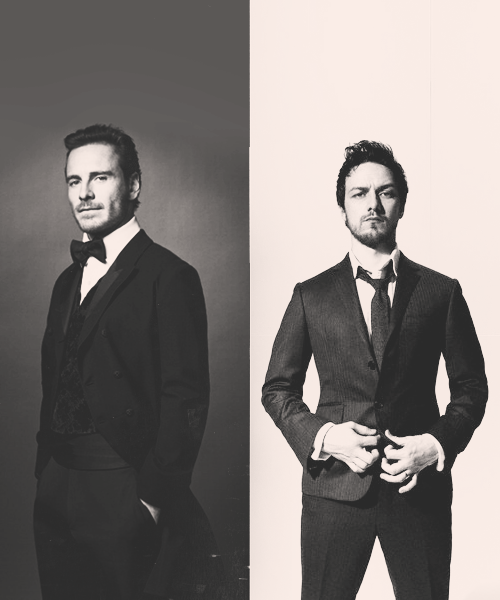 McFassy. . Wallpaper and background images in the James McAvoy and Michael Fassbender club tagged: james mcavoy michael fassbender. 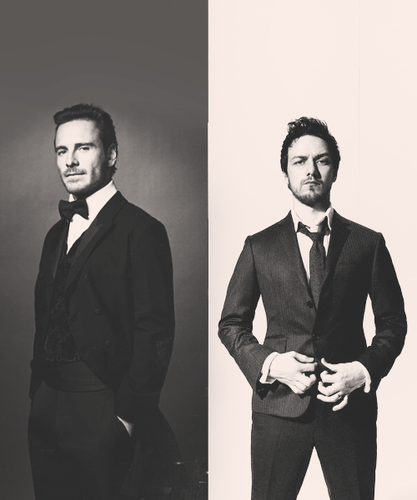 This James McAvoy and Michael Fassbender fan art contains बिजनेस सूट, सूट, and कपड़े का सूट. There might also be ड्रेस सूट, पूरी पोशाक, tailcoat, पूंछ कोट, पूंछ, सफेद टाई, सफेद टाई और पूंछ, पोशाक सूट, पूर्ण पोशाक, टेलकोट, पूँछ कोट, पट, डबल छाती सूट, डबल ब्रेस्टेड सूट, थ्री - पीस सूट, and तीन पीस सूट.